This unit is newly built and fully tested. Comes with expander bus cable and mounting screws. Panel is the Aluminum Thonk panel. I usually ship within 1 day and ship via USPS Priority Mail so you will get the item very fast. I built the unit with high quality parts. This is my hobby, not a job. However, I hold a university degree in Electrical Engineering. 30 years of analog circuit design, soldering and troubleshooting experience. 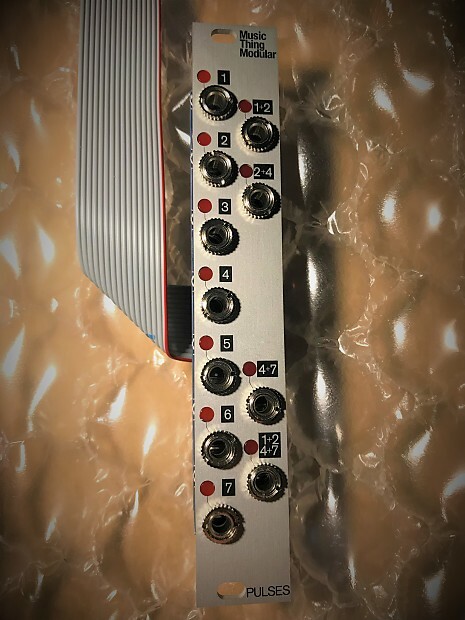 If you have other interesting electronic audio ideas, projects, builds, clones, repairs, requests or questions, or want to buy more than one feel free to ask! I don't bite!